1. 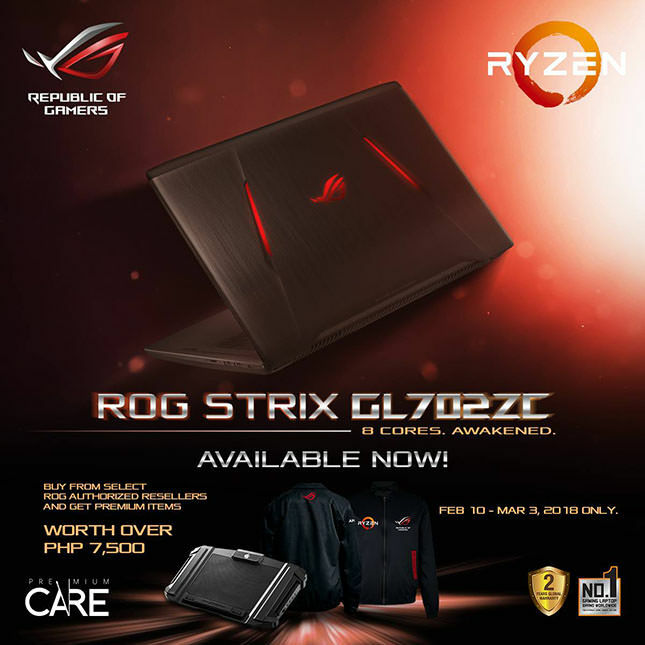 Promotion is open to all end-users who purchase ROG GL702ZC from February 10 to March 3, 2018. 4. Redemption Period is until 30 days from the end of the promo period. 5. Premiums are transferable but not convertible to cash.